Being a photographer is a career that requires both talent and craft. It is for this reason that people like Lewis Collins have devoted their lives to the perfect the art of photography. Though he doesn’t claim to be the best there is, his skill in taking photos speaks for itself. Provider of professional photo shoots, Cairns clients he catered for so far, have indeed benefited from this talent. Now, he is not only providing professional photography services but here are some tips he likes to share with everyone on how to become a better photographer. This maybe counter-intuitive but in photography, you aim to tell a story not just show a good image. This is especially so in marketing where every photo, every shot taken has one purpose, to sell. Lewis Collins, one of the best local photographer QLD has to offer, has devoted a huge amount of his time to perfect his methods on taking photos that will surely sell. It is hard to completely grasp the artistic technique of getting the best photo, but a saying goes that if you are not satisfied with your shots, you aren’t close enough. This simply means get close to your subject, especially for shots that you will market. Play with angles, and get shots in a different perspective. The “practice” part of being a photographer is somewhat underrated. Imagine how many photos a seasoned photographer has to delete before getting the perfect shot. That is why you need to really practice every single day of your life. Lewis Collins managed to rack up the experience during his travels and his interaction with people. This made him a top Cairns Event photographer and is highly sought by local businesses and clients outside Australia. Talent is inborn, but craft is learned. There are photographers who are good due to sheer talent, but most are good due to their expertise in the craft of image taking. Craft can be learned through experience or through the tutelage of professionals. So, it is best to have someone to lean on to, especially when getting advise, tips and techniques. So, there’s three basic, yet important things to remember in order to improve in photography. 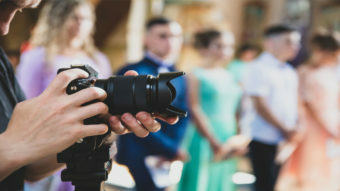 These tips are from Lewis Collins, one of the top Cairns event photographer and marketing aid you can call for all of your image content needs.